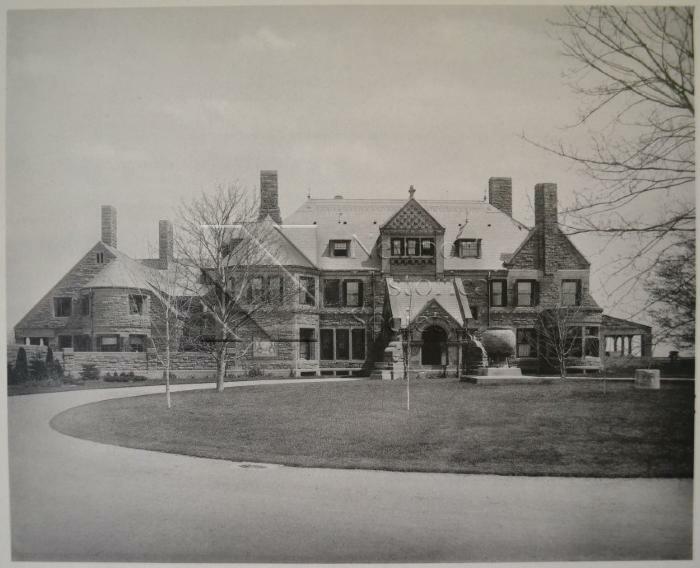 A photomechanical print of Vinland ("Mr. Louis L. Lorillard's House," completed 1883) from George William Sheldon's "Artistic Country-Seats," Appleton & Co., 1886-7. Print depicts the entrance facade of the house; a driveway and lawn are visible at foreground. Image was removed from its original bound volume and still has its original tissue cover.